The message-in-a-bottle routine is going Wi-Fi. And that means pretty soon you’ll have your very own mini Times Square at the bar, right on the bottle. “Everyone likes to see their name in lights,” says Brandon Laidlaw, president and chief operating officer of Pleasanton, California-based Medea vodka, which recently introduced a liquor bottle equipped with an LED message band that can be programmed to scroll any message that inspires you via a free smartphone app. OK, so maybe it’s message ON a bottle. But the point is the same. Bluetooth technology is changing the way drinkers _ and barkeeps _ are interacting with their bottles. This new use of tech means consumers can customize messages on the bottles they are drinking. Heck, they even can track its exact location. 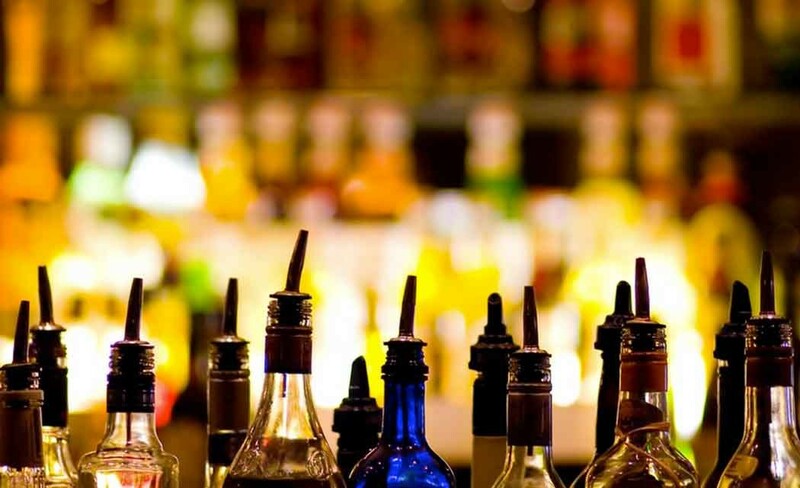 Distributors and bar owners can use the sametechnology to track purchases and get sales data. And global drinks company Diageo even is working on smart sensor-equipped bottles that communicate with consumers’ devices and switch gears _ recipes vs. sales promos _ once the bottle is opened. The idea is to give packaging a speaking role in an increasingly interactive marketplace. “Every consumer is walking around with a very powerful computer in their pocket,” says Venky Balakrishnan, global vice president of digital innovation at Diageo. And bottle tech that can harness that isn’t limited to the bottle. Currently available devices include wireless pour spouts such as Smart Spout, from Phoenix-based BarVision, which contains RFIDtechnology and electronic tilt sensors to measure and report on every ounce of liquor poured. BarVision CEO Joe Nolan expects bottles will only up their intelligence levels as more producers bring packaging into the “internet of things,” i.e. appliances or other objects that are able to communicate wirelessly. “We’re excited about the prospects, that’s for sure. It really is all about the software that’s inherent in the system and allowing these owners to see stuff that they couldn’t see before and maximize their profits,” he says. The Smart Spout can interface with most point-of-sale systems and deliver automated reports to bar owners on things like which hours are heavy, which brands are being called for and whether pours are “heavy” or “light,” says Nolan. The initial Medea vodka LED label band was manually programmable; you pushed buttons to key in letters. The second generation bottle, expected to launch in June, can be programmed from a wireless device. The app can immediately detect which bottles are in the vicinity so users don’t have to search bar racks. The vodka inside Medea bottles is imported from Holland and has won awards for taste as well as packaging, says Laidlaw. Initially released in limited distribution in 2010, Medea was relaunched in August 2014 and has sold about 25,000 cases throughout the world. A 750-milliliter bottle costs about $30, and the Bluetooth LED band will last for about 50 hours. Once consumers are done with the bottle, the band can be peeled off for disposal at a battery disposal/recycling facility and the glass bottle can be recycled as usual. The next step is working on an LED band label that can communicate in other languages. At Diageo, the “smart bottle” was showcased at the Mobile World Congress in Barcelona in March, using Johnnie Walker Blue Label. The bottles aren’t yet on the market and officials aren’t ready to give a release date since the technology still is being worked on. The bottle sensors were developed in collaboration with Thin Film Electronics ASA, a Norwegian company with offices around the world, including a branch in Silicon Valley. A Thinfilm OpenSense sticker on the bottle makes use of smart phones’ Near Field Communication (NFC) capability, which allows devices to communicate with each other, but only in very close proximity. Unlike QR codes, which require scanning a picture that then takes you to a website, the new stickers can interact with consumers immediately. Consumers opt in by putting their device close to the bottle (they have to confirm they’re of legal drinking age, too) and marketing type information, such as promotional offers, is sent to their device. Opening the bottle twists off a tail on the sensor and signals a switch to post-purchase content. Diageo primarily is looking at the technology as a consumer engagement tool, but it also could be used to check on a bottle’s authenticity and journey through the supply chain.